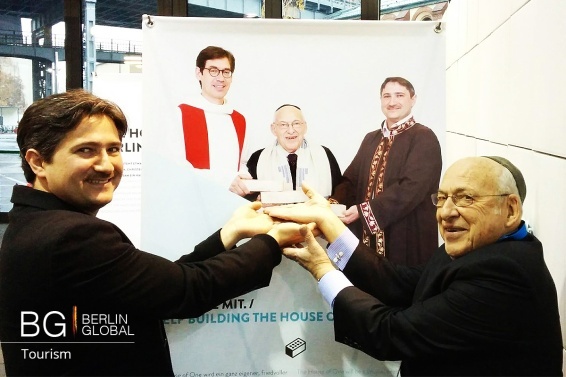 The House of One is an idea of an imam, a rabbi and a priest working together to create one singular building combining a synagogue, a mosque and a church under one roof. The desire is to create a peaceful place where people of different faiths can pray side by side in a multicultural city like Berlin. 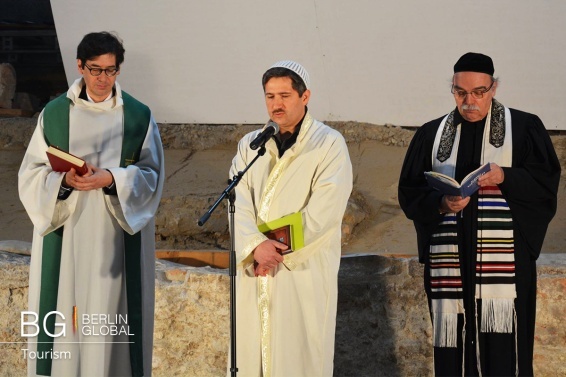 The priest, Gregor Hohberg, the imam, Kadir Sanci and the rabbi, Tovia Ben Chorin wish to bring the city’s Jewish, Christian and Muslim residents together, as well as the secular society, to show a contemporary expression of religious life. According to their idea, these three monotheistic religions are different in their routes, but similar in their goals. To realize this plan 43.5 million Euro is necessary, so they rely on everybody’s help by donating a brick of 10 Euros. The current donation status is 1.026.850 Euro from 1.853 donors. The dream of the three religious leaders is to create a place of justice, peace, reconciliation and equal relationships between the religions hand in hand with a culture of nonviolence, respect and solidarity to pray and learn. The project is expected to spread all over the world and set an example of togetherness. The House of One will be located in the heart of Berlin, in Petriplatz, where the city was born, in the former site of Germany’s oldest church. This is an important detail for the creators, who consider Berlin as a City of Miracles. As the rabbi said “A place that has darkness in its past has the potential for peace in its future”. The architects draw up a building with transparent structures, where the three separate holy rooms are arranged around a central hall in the same amount of space. The individual institutions each represent their own religion and are designed according to their needs to hold religious services. The communal room links the separate sections, creating an open atmosphere with the possibility of inter-religious conversations and learning more about the other religions.